I was conducting some research a few days ago and came across the gorgeous Ms Jackson, a Miss America contestant representing the District of Columbia. Departing from the traditional long, flowing, straight locks common in pageants, she wore a gorgeous braid out/twist out for the competition. Cierra Jackson went on to win the best swimsuit segment of the competition. 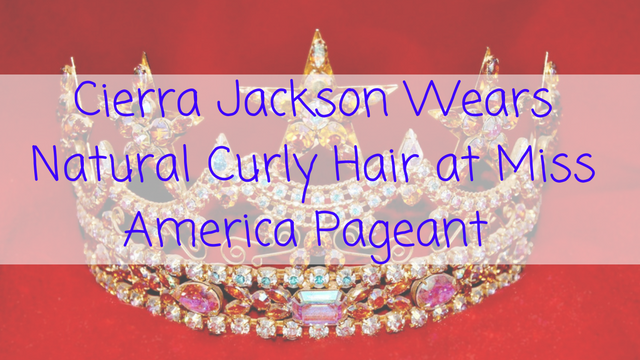 Definitely look forward to seeing more curly haired ladies in pageants in future. You can find out more about Cierra and view more picture son her Instagram page HERE.